I know there are other web comics out there, but I wanted to mention this one because I usually really enjoy it. 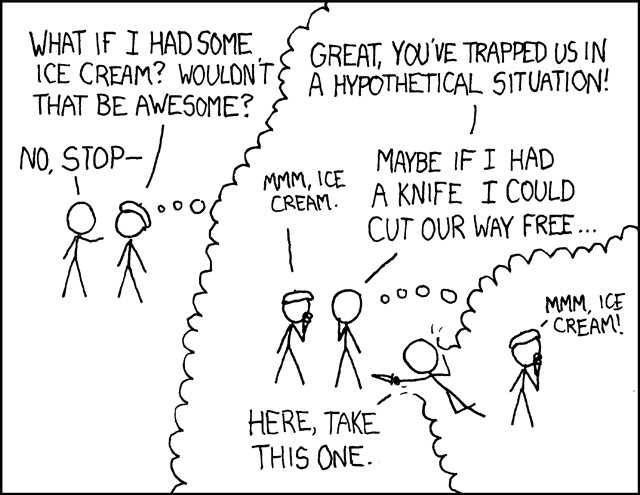 It's called xkcd, "A webcomic of romance, sarcasm, math, and language." - some of the cartoons are hokey, some of the cartoons contain semi-lewd material (whatever that means), and most of them would appeal only to the geek-minded among us. Here's a recent one that I snickered at.